Digital Marketing has become an established method of marketing both product and services via electronic channels made available by innovative developers the likes of internet and other digital sources. This is a simplified definition of the term made available to the general public. 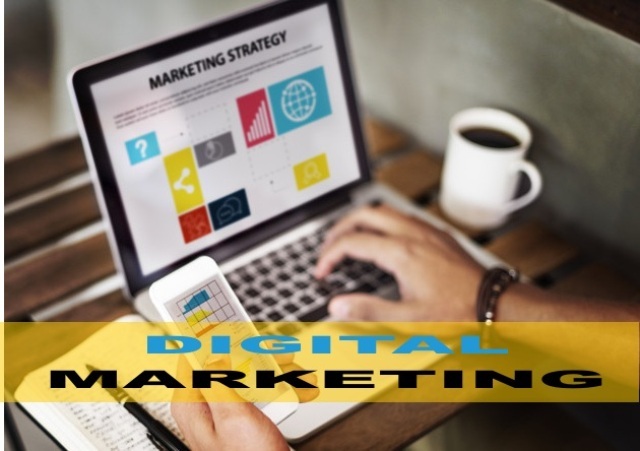 In reality, the scope of digital marketing is not limited to the above mentioned but it also channels to broadcasts like in fax, voice or RSS, podcasts, the ever popular blogging, text messaging and many others. Many business entities all around the globe have been established to specialize on Search Engine Optimization also known as SEO. SEO is but one of the many channels that is utilized by the online marketing Industry and is commonly used as well. SEO is a great online marketing strategy to increase traffic to a site being promoted for various purposes. Since the dawn of the Techno Era, our reliance to the internet cannot be helped. This makes the World Wide Web become the most powerful and most commonly used medium of our current time. In the course of the developing digital marketing industry, these companies were able to gear up with personnel that specialize on all the aspects concerning the industry itself. A marketers goal is to put you at the front and to make sure that you are exposed to your target market in whichever industry it is you are operating in. Also to make your presence known to those who seek it online 24 hours a day. Most often than not, people of this generation rely heavily on the internet and putting you up on the front line when they hit search is what they make happen for you. This is done by creating online sites or sources that has the key words or phrases in it that links back to the main site. With this, visits or traffic is increased and the chance of closing a sale by customer's judgment is enhanced as well. Additionally, the chance of finding your site through these links is raised and the potential customers will likely consider it convenient. Obviously this will send solicitations to potential clients by sending materials via email hinting the service(s) provided and the link to the site that caters such. This will target mostly those that could not be searching for the service or product but may perceive it as a need after reading the communication. This takes exposure to a higher level. As we know, based on study conducted on Americans, about 23% of the time people spends online is on Social Networking sites. This will allow the suggested exposure of the link to all age brackets logically people from all walks of life. This will benefit the company in expanding the customer base by increasing the number of potential buyers. Because of the advancement in technology not only are these entities able to obtain real-time reports of the views it also generates a relatively more realistic numbers to meditate on to use as either leverage or a point to improve a product or service. 3 Responses to "What Is Digital Marketing Today?"